The Reception of Blue in New Technological Forms and Contexts. “The degree to which the spectator identifies with the diegesis as his/her own hallucination fluctuates from spectator to spectator, from narrative moment to moment, from genre to genre.” (Gorbman, 1987, p.45). It is very hard to experience Blue today in the intended format that Jarman produced it in. This means that the reception of it and evolution of the methods of reception will not only produce parallels to each other but will also raise more questions about the already ambiguous piece of work. This is of course all assumed from the perspective that Blue in its filmic/cinematic format is the true original and that everything after that is a deviation, whether through new technological or aesthetic methodologies. However, it is clear that Blue was not viewed mostly through the medium of cinema with Lawrence even recalling its quiet debut at the Venice Biennale: “No, the screening of Jarman’s film passed quietly – just Jarman himself, a single reporter, a small audience, and seventy-six minutes of unchanging blue celluloid backed by a soundtrack about the director’s experience of living and dying with AIDS.” (1997, p.52). Even at an event perfectly suited to its uniqueness, it still drew little attention. It is perhaps this “fear” caused by the complete disregard for form that makes its presence in new forms and technologies so vast. Because of the debate, the reception of its other forms will naturally be different but they will also be of great interest as it will allow new contrasts to be drawn which may perhaps even provide new enlightenment on the original piece. How technology has affected the work will be presented in chronological order and so the first new method of reception to discuss is the Radio 3 Live broadcast, the 1994 concert and the live CD. Blue’s malleability as a format meant that its possibilities within other mediums were explored pretty much straight after its cinematic inception. When screened on Channel 4, the soundtrack was played at the same time in isolation on BBC Radio 3, making a strong argument for the work to be seen as an audio-play. The first solidification of its role as an audio work however, can be found in a concert version of the film, stripped of its more political elements with emphasis put more on its musical and extra-musical qualities. In context of film music, Chion argues that “For sound there is neither frame nor preexisting container. We can pile up as many sounds on the soundtrack as we wish without reaching a limit.” (1990, p.67). This may explain this stripping down which makes the live version different and even possible. The aspect to note when looking at this version’s reception is the very obvious change in cultural landscape. The contrast between a cinema and a concert venue is vast with the simplest psychological mindsets being changed even before entering either venue. 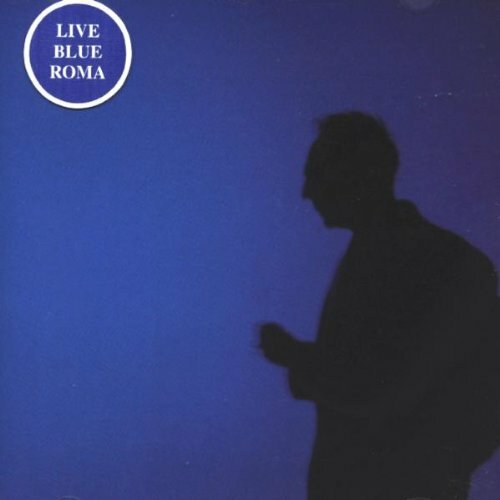 Live Blue Roma takes elements from Jarman’s work and reappropriates them to a concert scenario. This isn’t to say that Live Blue Roma is like a typical music concert. It is as equally problematic in defining as the cinematic version. There is live music but there is also spoken performance by actors, bringing in lots of the original text and poetry that was used in the film. Gorbman discusses the presence of dialogue and music in Unheard Melodies stating that “Briefly, some consequences: the fact that sound film music coexists with speech and other diegetic sound affects the spectator’s relation to it. Since there is diegetic sound, this music is all the more clearly outside the story.” (1987, p.41). Whereas this may have had a brief effect on the audience of the film, the audience of the concert do not have this balance of false reality to contend with. In fact the only real defining aspect of the event as a musical concert is geography. The rest of the performance bares more of a resemblance to a piece of performance art than a musical performance. This is due to the film’s sole use of “internal sound” as Chion describes it: “Internal sound is sound which, although situated in the present action, corresponds to the physical and mental interior of the character.” (1990, p.76). This sound means an entirely different placement of mental positioning for the concert audience. So can this change have lead to new types of reception? The logical inference is that it can though it is very difficult to justify without actually discussing the change with audience members who were at the performances. The geography of the performance should instantly change the mindset from an experience to an event. The subtle difference here being that the former is something that happens to the viewer while the latter is something that viewer has varying levels of participation in. Even this seems too rigid to describe both the cinematic and the concert formats though at least begins to address the potential delineations that both mediums may create. A more tactile approach would be to look at the reception of a medium spawned from the concert format; that of the live CD. This again was released relatively close to the cinematic release and after the concert. It has the potential to be aimed at a number of different audiences; the fans of the film, the fans of Jarman, fans of Fisher-Turner and fans wanting to relive the concert experience. As Jarman had little to do with the actual concert itself, the reception will of course be affected by the shift of focus onto Fisher-Turner’s methods and ideals. In an interview, Jarman stated that “And by removing people from it and making it much more abstract one left it free-floating for people to make up their own minds.” (Jarman, 1994). The concert is therefore both apt and contradictory with its emphasis on, and distancing of, people. This means that the audience of the audio-work will potentially be more keyed in to it as musical currency rather than performance art. The mere act of buying a CD lends well to this argument in that the psychology of buying it in this format will automatically bring with it musical associations whether it is bought in the music section of a shop, kept in the same area of music storage at home or listened to on the same devices as other music. In the context of Jarman’s ambitions, it is therefore contradictory though not through malice or in a negative way. As stated, Jarman’s emphasis on lack of visuals (or concentration of Yves Klein-like voids) can induce the notion of recreated blindness. This isn’t necessarily the full effect that Jarman wished to achieve as previously discussed yet the musical option is potentially extremely contradictory to the cinematic experience. Whereas the distractions in the cinema would have, at most, been the safety lights of the stairs or the silhouettes of the other viewers, the musical equivalent has the potential to be put to just about any visual that viewer wishes to transplant it to. With the 21st century seemingly distancing people through technology, music through headphones in the everyday sense seems to play to the opposite of Gorbman’s argument; turning everyday life into one long montage that happily lacks speech at least for certain lengths of time. The technology, even then, allowed Blue to be experienced in the street, played over another film on the Television or even played over any perceived reality through the use of portable CD players and headphones. The serendipic nature of these experiences could allow new meanings to be found within the texts and so, though against at least some of the perceived ideologies of Jarman’s original film, the new receptions of his and Fisher-Turner’s work would be something Jarman in particular would have no doubt approved of being the constant experimenter that he was.